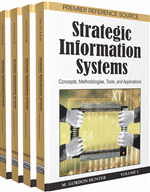 This chapter presents a methodical strategic technology engineering planning (STEP) approach, to effectively cope with the design complexity in service-oriented architecture and manage the strategic planning of solution development of information systems. This holistic model comprises four modules: Want-Is-Target (WIT) model, Transition and Alignment Grid (TAG), Comprehensive Architecting Process (CAP), and Joint Analysis & Roadmapping (JAR). The characteristics and features of the constituent elements in the STEP model are articulated in great detail. The WIT model defines three stages of architecture states – current, target, and end state. TAG specifies two dimensions for architecture planning, namely current-to-future state transformation and IT-to-Business alignment. CAP presents an overarching method for step-by-step engineering and design in system architecture and portfolio optimization. JAR comprises the best-of-breed strategic analysis techniques, accompanied by a hybrid method with strategy-driven and initiative-driven planning streams. Applying the framework in planning and future trends are also discussed in the context. This overarching framework provides a comprehensive multi-disciplinary approach to conducting strategic and tactical technology planning for both near-term needs and long-term goals.